If you have ordered something and can’t wait for your order delivery, you do need to track your shipment. It will help anyone to know where the ordered product is right now. With an iPhone, we can easily do this job. 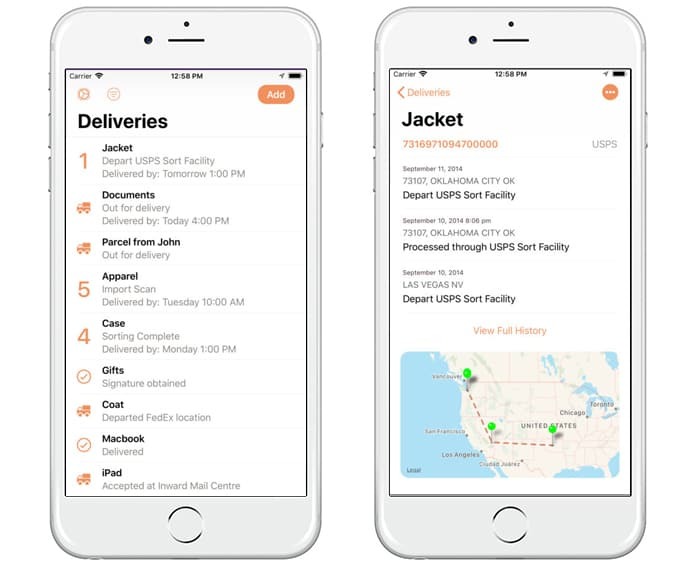 If you have already waited too much for your order delivery and want to track the process, you can now install a shipment tracker app on your iPhone. This will not only tell you the information about your delivery but will tell you the real-time statistics for your order. 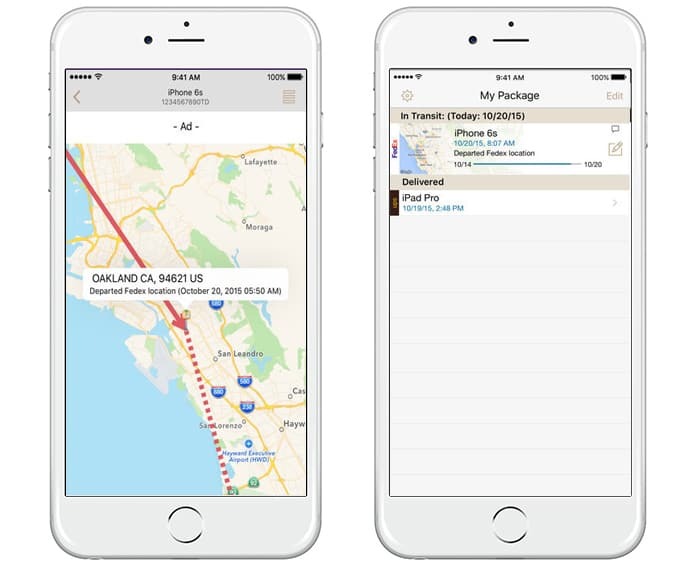 Here is a list of the best package tracking apps for iPhone and iPad. Waiting for an order is really an exciting thing and it is not easy to wait for it so such apps will also inform the remaining time for order delivery. Such Apps will help to wait for an inappropriate way without any confusion. 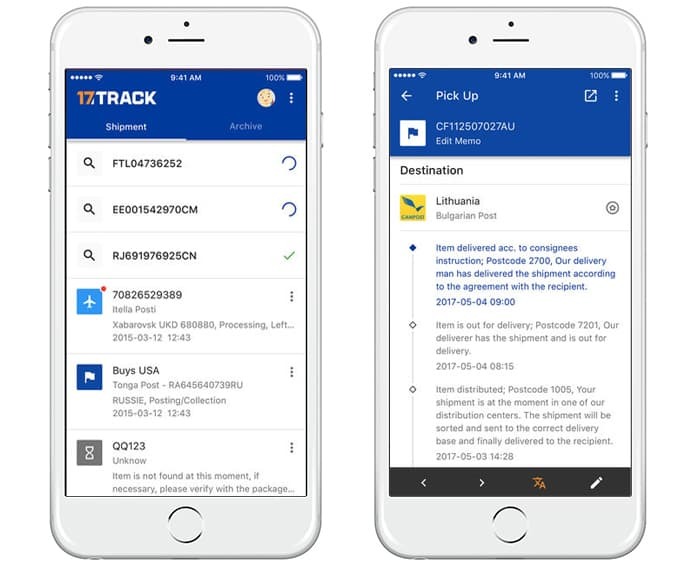 Here we are going to mention some best shipment tracking apps for iPhone and iPad that you can download from the App Store. With the 17TRACK app, you can track multiple carriers and several numbers, you can rename an item or add a nickname. The best thing about this app is that it has a barcode and QR code scanner and it can also send a notification to you when the status of the package changes. 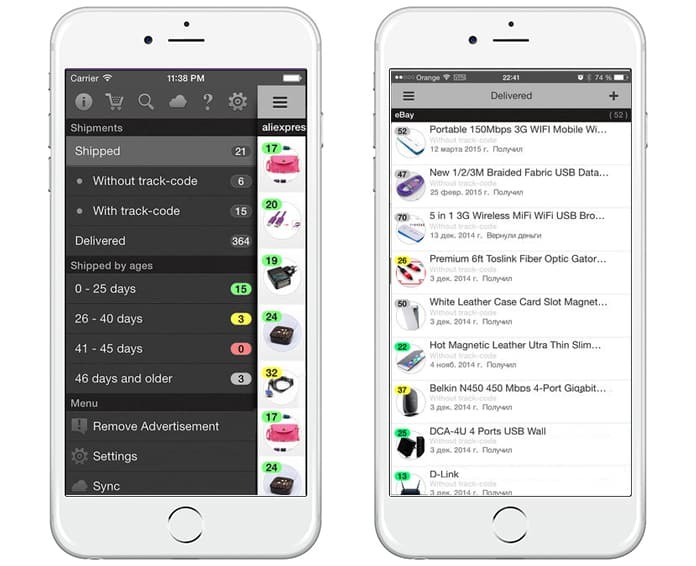 WeTrack is a fantastic app that provides shipment tracking services without any problems. It has a simple and user-friendly interface that allows the user to work conveniently. The greatest concern about this app is you can use it for different posts within various countries. It helps the user to keep track of his shipment smartly. 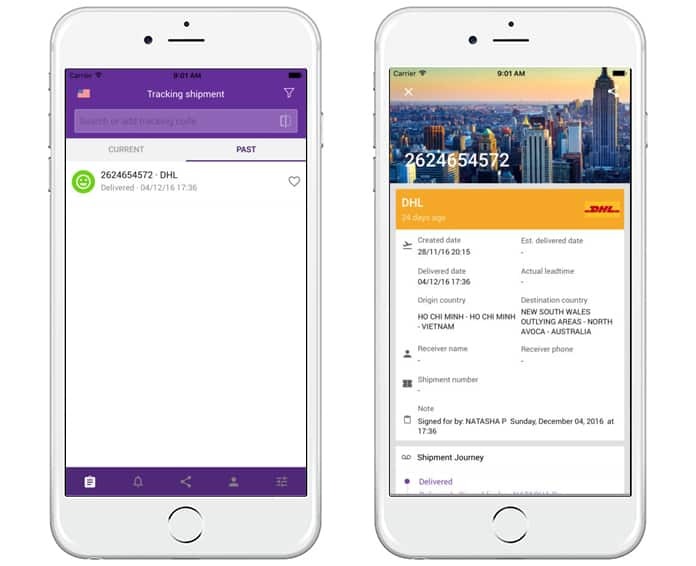 You will have to enter the tracking number of your shipment in the app, and it will keep you up to date throughout your shipment journey. Parcel Delivery Tracking is another great app that can help you to track your shipment. It supports different delivery services like China Post, DHL, and TNT. Parcel: Delivery Tracking provides the complete information about your shipment and delivery. You can get info about your current order status, and your delivery time as well. This app will keep you up to date from the app notifications so that you will be able to have better tracking of your delivery. A great aspect about this is you can track more than one delivery in this app. however, if you want to go more than three deliveries, you will have to pay for it. If you want to have status and information about your order, Slice- Automatic Package Tracker could be the best choice for you. This app will let you know about your order status by showing it on the map. In this way, you will be able to see where your order is currently. This app also works on the email system. You can add deliveries using your email, and it will show all the updates of your orders on the map. 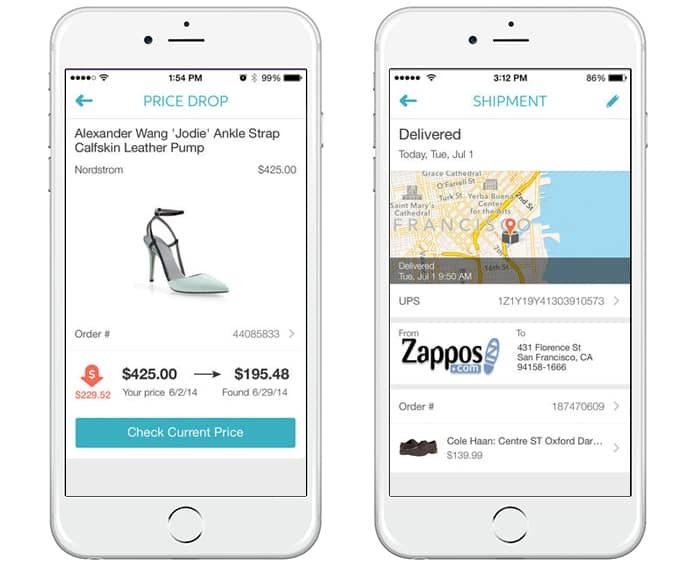 It is a relatively better way to track shipments and orders. TrackChecker- Parcel Delivery Tracking is a package tracking app that allows you to use up to 500 types of delivery providers. It means you needn’t select a different app for your different type of delivery. It is a very powerful shipment tracking app as it allows the person to see his shipment and current status. It also estimates the delivery time by using the map information. My package is one of the best package tracking apps you need to download if you want to find out where is your package. This small tracking application helps you to track your package and find out where it is. All you need is to copy and paste the tracking number from your email or website. You can download My Package Pro if you want to unlock more than one feature. 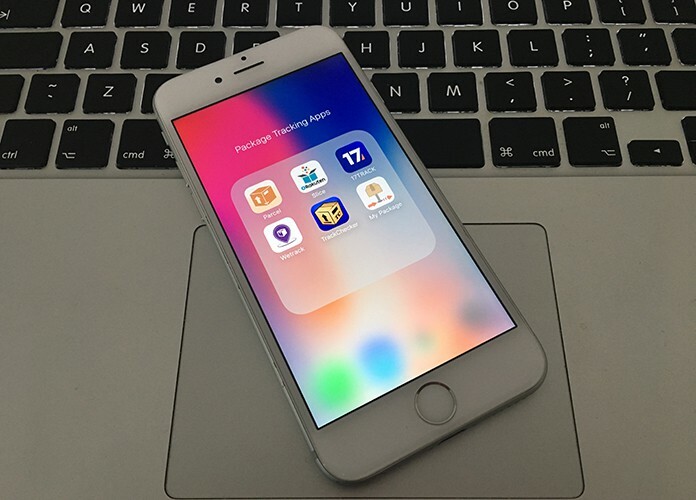 This app supports iOS 11 and you don’t need to sign up, login or share your email. If you are looking for the best package tracking app for your iPhone or iPad, you can choose from one of the above. These apps are mostly free to use, but if you want to update them according to your requirements, you will have to buy them.